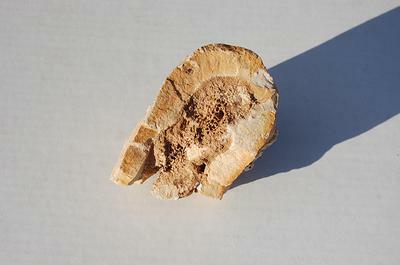 The pictures here show what appears to be a fossilized bone of some size. 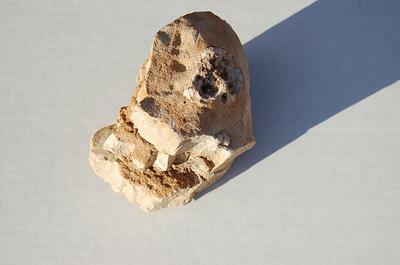 We have no way of knowing what it is or if it is in fact a fossil of some sort. It was uncovered during excavation for a back landscape. 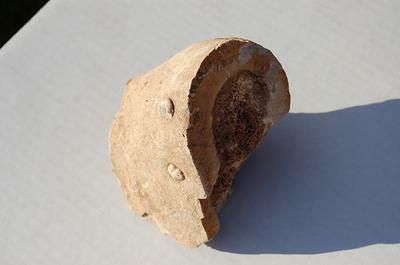 It was in Caliche Clay. I cannot identify your fossil bone. What I can tell you is that fossil bones have been found around the Phoenix area. Here is one recent find near you.